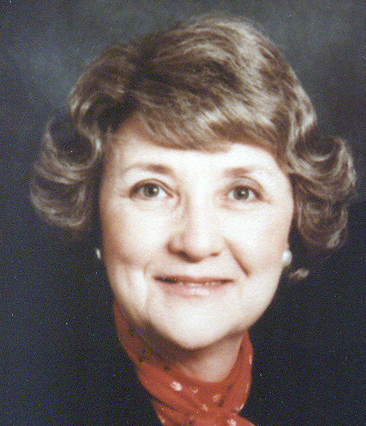 Mary A. Riddle Patterson, 92, of Kansas City, Mo. passed away January 28, 2019. She was born on March 5, 1926 to Jane Irene (Flinn) and Dudley McDonald Riddle, in Kansas City, Mo. She graduated from Southeast High School and earned her Bachelor of Arts and Bachelor of Science Degrees from Kansas State University. Mary started teaching at Shawnee Mission High School in 1947 which was the only high school in the district. In 1950 she designed the Art department for the new addition to the campus which was also featured in the yearbook. In the late 60’s and early 70’s she substituted in area high schools and in 1969 was an Associate Home Economist lecturer for McCall’s Patterns. She married Robert H. Patterson on June 27, 1950, and shared 54 years of marriage. They were members of Paseo Presbyterian Church and in 1963 Mary and Bob were State Skippers of the church’s Mariners Married Couples Organization where the Mariners’ State Convention was held that year. They later became members of the Ward Parkway Presbyterian Church. Mary was a devoted and loving homemaker, wife, mother, grandmother and great grandmother. She enjoyed gardening, fishing, reading, traveling, and painting. She was happiest being involved with her family’s activities and doing volunteer work for the schools and the community. Mary held offices in the Chi Omega Fraternity, P.T.A., Kansas City Youth Symphony, Southwest High School Tooter’s Club, and Daughters of the American Revolution. She worked at the voting poll as a Republican precinct captain and judge. She marched for Women’s Rights at the Equal Rights March in Jefferson City, Mo. Mary was a patriot who believed in God, family and service to the community. She will always be remembered for her sense of humor and “give me some sugar” when she wanted a kiss. Mary was preceded in death by her husband, Fire Marshall Robert H. Patterson (ret. ), sister Jane Rebecca "Beckie" Lund, grandson Keith C. Dunn, and brother-in-law Daryl Browning. Surviving family members include: three daughters, Sharon "Shari" Patterson Brown and husband Stewart S. Jr., Lakewood Ranch, Fl., Janet Wesley Snell and husband James W. IV, of Olathe, KS, Kathryn L. Hinkley and husband Colin F., Overland Park, KS. ; five grandchildren: Kara Dunn Dickinson, Jenna Hinkley Howe (Justin), Kaitlyn Kelly Wright (Adam), Amanda Hinkley, Matthew Hinkley, four great grandchildren; sister-in-law, Elsie Mae Browning; and many nieces and nephews. She will be placed with her husband at their companion lot at Mount Moriah Cemetery. There will be no funeral by her request. Memorial tributes may be given to the Ward Parkway Presbyterian Church or Little Blue River Chapter, D.A.R., Grandview, Mo. Mary will be placed with her husband at their companion lot at Mount Moriah Cemetery. There will be no funeral by her request. Memorial tributes may be given to the Ward Parkway Presbyterian Church or Little Blue River Chapter, D.A.R., Grandview, Mo.